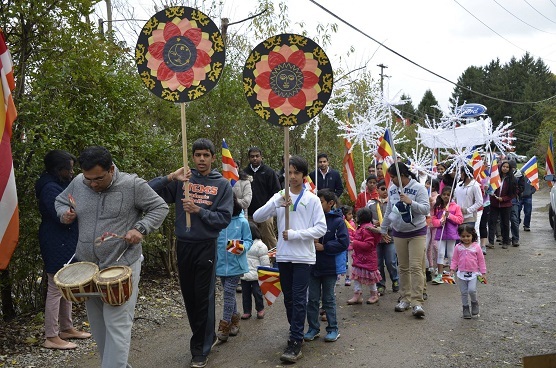 Pittsburgh Buddhist Center (PBC) was established on Sept. 6, 2006 to serve the needs of Buddhists and friends of Buddhism in the greater Pittsburgh region. It offers teachings of the Buddha based on the Theravada tradition of Buddhism. 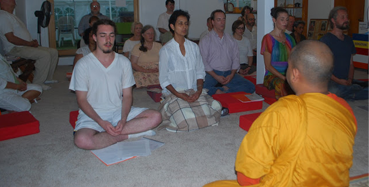 PBC conducts meditation sessions, religious discussions, Buddhism classes for children, and a monthly program that includes a Dhamma talk by a Buddhist monk at PBC. We welcomes your participation in its activities, as well as your private visits to the temple. The temple is open to people of all religions. All events, unless otherwise noted, are free to the public. Children are welcome. PBC is a non profit organization. We count on your donations to operate the center. Thank you. Meditation sessions are offered every Wednesday from 7pm - 8:30 PM. Services are free and open to the public. We welcome you to participate in these weekly sessions. If you are a beginner for meditation, we encourage you to come half an hour earlier and receive private instructions from monks. Please visit https://new.livestream.com/accounts/10695460 for remote meditation participation and to view past events.